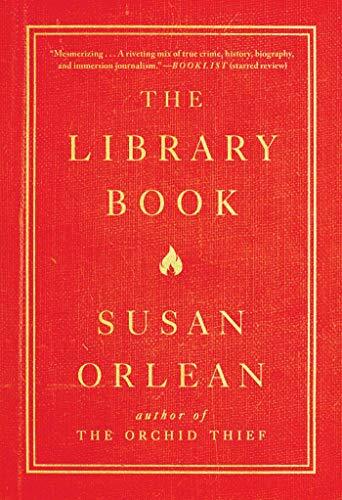 "Susan Orlean adores books and stories, reading and research, and so it's no surprise that she has filled The Library Book—a gorgeously written and produced volume of nonfiction—with fascinating reportage that sweeps reverently back and forth through time, flipping effortlessly through the cultural history of an institution. Libraries were the spark for many a book lover's lifelong affinity. The Library Book clearly grows from Susan's fond memories of childhood library visits, but becomes a true page-turner as she turns her journalist's eye to the arson behind the catastrophic Los Angeles Library fire of 1986. From book burning to Bradbury, Orlean considers every thread with contagious curiosity. The Library Book is encyclopedic in scope, yet gloriously analog and human in shape." Section Essays / New Hardcover - Nonfiction / All Staff Suggestions / Alex M.